Nestled amidst river bed of Kapila Cauvery River and situated at a distance of four kms from Talakad bus stand, this hotel surely provides peace and tranquility. 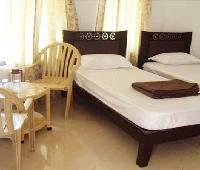 All the 12 cottages along with two group cottages offer great view of serene sands and sparkling river. Guests can savor mouth-watering array of Indian food, vegetarian and non-vegetarian food at in-house restaurant and enjoy evening barbeque by the riverside. 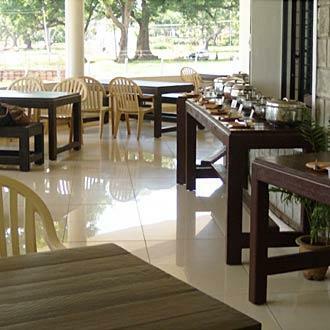 Raya Resorts also arranges for conference meetings amidst natural surroundings. The hotel also boasts of 3000 sq ft conference hall equipped with audio-visual equipment and a projector is available on chargeable basis. The hotel also has a 24 hour front desk, travel counter, luggage storage, free parking space, and porter/bellhop and currency exchange service. Guests can choose to relax in the landscaped gardens or indulge in water sports or indoor games. This smoke-free property also offers 24 hours room service. We were there for two days and was charged a hefty Rs 4k per person per night inclusive of food Complete CON JOB, none of their features are worth the price. First the room - the bed which was prepared for us, on closer inspection, had big stains from some bodily fluids. The mattress too had stains. Please check the white bed cover that covers the mattress. The TV had no working cable for IPL matches, took abour 4 hours and finally they changed our room. We were told that we could swim the the river, the river near the resort was badly maintained and covered with African aquatic growth. Food was passable, they had said buffet, but it was finally what you wanted ordered ahead of time. Hospitality staff is untrained, they poured hot water into plastic glasses. They even diluted watermelon juice with water. Took a lot of time as food is cooked in an unknown location and brought there. We do not get to see the hygene of the cooking area. The food preparation area was a mess and there was equipment and vessels lying haphazardly everywhere. There is hardly any activity, there was no barbecue despite the high cost per person. We were told it would be charged extra. They have no safety trained person to managed their water activities. Complete mood spoiler of a holiday. Unfortunately, the places in Talkad for stay are few and they get away with conning travellers into their resort. Their manager is a big con artist and do not agree to the high price he quotes, he looks at your local knowledge and then quotes the price. So negotiate, it is not worth more than Rs 2k per person per night. Room is extremely small and cramped and CIRCULAR!!! Everything is run down with age, not maintained properly. We stayed for 2 nights and 3 days. 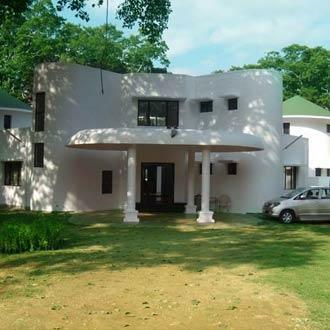 Its located on the bank of beautiful Kaveri river, whats bad about this property is owner and manager. 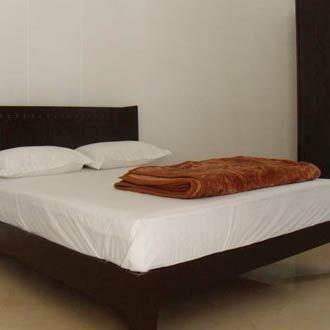 The owner promises the deluxe a/c rooms have king size bedrooms, where as its queen size, he promises that 4 people can stay in the room but the rooms are not big enough for a 4th bed.He said its a 3 acre property but its definitely not. First day the food was good, second day it turned out to be bad, they served borewell water, rotis made of maida, manchow soups is full of tomato sause. The most important part is that make sure you have everything in written before going to this place, every specifics, else they will even argue that this not a charity. Nice place but wish it was managed by professionals. Stayed at this place for a day, 3 years back. 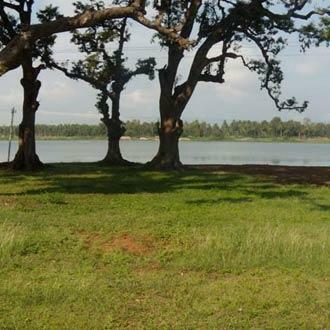 Its a lovely place in that locality bank on the banks of the river Cauvery. For the price then it was a very good place. There is a green patch in front that has a hammock and some chairs and overlooks the river. One can relax here and enjoy the beauty of river. The snacks in the evenings are served in this part of the hotel. The hot pakodas / bajjis with tea on the banks of the river are the highlights of this place. Food is ok, but was a bit spicy. The indoor games are minimal and the usual. They had a trampoline then which was a hit. There's also a badminton court. They had offered complimentary kayaking which was enjoyable. The place is close to the temples too. As such a pretty good place if you want to visit the temples and also relax on the banks of Cauvery. Excellent location, arguably the best property in the vicinity, easy vehicular access, and excellent rank-and-file staff. Then why the low rating? Because the property has been allowed to run down and it is grossly underperforming its true potential. Here's the chicken-and-egg situation - more guests mean more money and better facilities. OR, better facilities mean more guests. Which comes first?? No idea what strategy the owner has in mind, but right now the property is on a slippery slope from which it is difficult to recover unless some major decisions are taken. Better promotional activity through online and offline media, pricing policy based on the principles of revenue management, and a general spruce up will go a long way to improve the ROI for the owners as well as the stay experience for the guests. 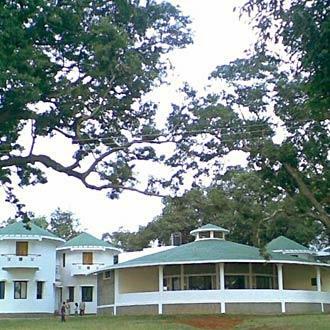 Good resort on the banks of river Kaveri for hanging out with friends. Courteous staff. But was bit pricey for the quality of room and available amenities. Buffet was ok though not great. Could enjoy boating that was provided complementary.